Tottenham captain Hugo Lloris was unable to prevent his side slipping to a defeat at home to Manchester City on Saturday night – and the club’s supporters on Twitter destroyed him for his performance. The 31-year-old is a senior member of the dressing room and a long-serving player at the North London club, but he has come in for severe criticism in recent weeks for his displays. Spurs suffered a 3-1 loss at Wembley in the Premier League clash to champions-elect Man City and fortunately their top four spot already looks secure. Gabriel Jesus put the visitors in front after a dominant start to the game and Ilkay Gundogan doubled their advantage just minutes later from the penalty spot. Shot-stopper Lloris has made several mistakes leading directly to goals in recent weeks and his reckless challenge conceded the penalty, albeit replays seem to suggest the contact was outside of the box. Spurs playmaker Christian Eriksen did pull one bag for the hosts to make a contest, but Raheem Sterling made sure of the points late on with a close-range finish. Mauricio Pochettino’s side remain seven points ahead of fifth-placed Chelsea and were beaten for the first time in 2018 in the league. 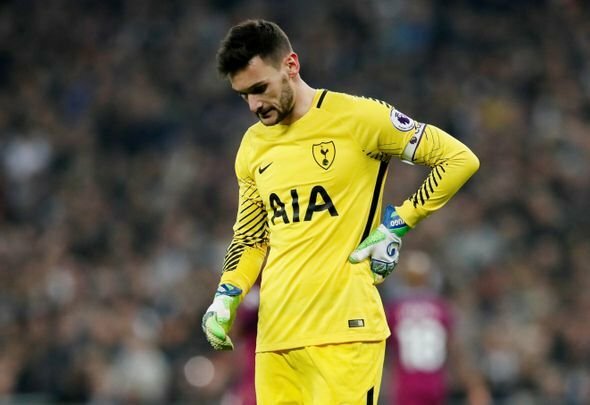 Spurs fans on social media voiced their frustration with Lloris after the match and believe the goalkeeper’s days at the club may be numbered.